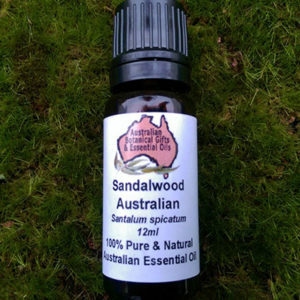 Backhousia citriodora apart from being a wonderful mood lifter, calming, it’s the most anti-septic, antiviral, anti fungal of the Australian essential oils (more powerful than tea tree). Used for helpful with colds, flu, chest congestion, irritable digestive disorders, chest congestion, bug repellent, gas in the digestive tract, skin conditions, our favourite for house cleaning. 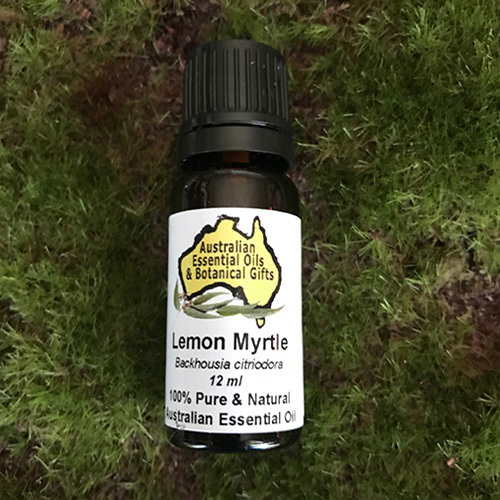 Lemon Myrtle essential oil, is one of Australia’s newest and most exciting aromas, it is wonderfully uplifting, refreshing. It will freshen a home or room, it appeals to the family. 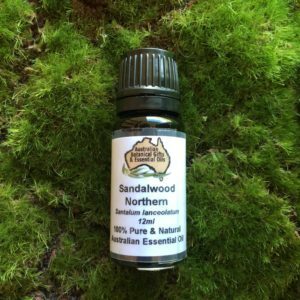 Lemon Myrtle essential oil is a wonderful tangy aroma and can help sharpen the mind during foggy moments. 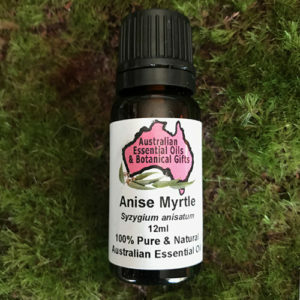 Lemon Myrtle is used in Australian bush cuisine, perfumery and aromatherapy applications. Reminiscent of lemon and of the true Melissa oil, it is an excellent blending oil with long-lasting characteristics. It will freshen a home or room, it appeals to men or women. Uplifting lemon aroma, a wonderful, yet smooth, rich lemon smell. Pleasant for men, women and children. Lemon myrtle essential oil can be used safely around the home and will not adversely affect members of the family with allergies and reactions to chemicals. Lemon Myrtle (backhousia citriodora) is an Australian native tree indigenous to the coastal, sub-tropical rainforests of Queensland. 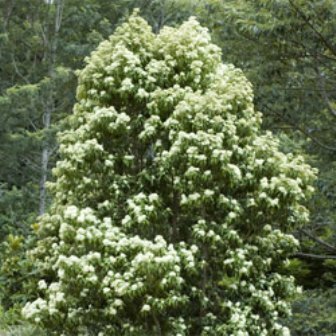 Lemon Myrtle is the world’s richest known natural source of citral (90 – 98%), and has an exquisite flavour and aroma described as a blend of lemongrass, lime and lemon. Common Names Lemon Ironwood, Lemon Scented Myrtle, Sweet Verbena. Main Activities Contains up to 98% citral, containing: geranial, neral, cis citral, (In comparison Lemongrass 30-70% Citrals, Lemon Verbena 40%, Lemon Balm 70%).Citral has been shown to be anti-microbial, particularly anti-fungal, anti-viral, sedative. 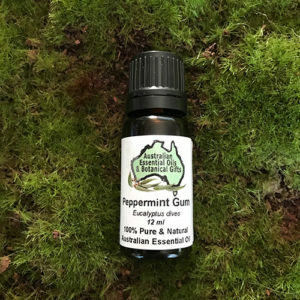 Uplifting, relaxing, sedative, calming, improves concentration, anti-depressive, soothes hypertension, aids happiness, good for rest, removes bad room smells, calm noisy children. In an oil burner, air purifier, air freshener, potpourri, massage oil, bath, vacuum cloth bag, floor washing water, dishwashing liquid, excellent food flavouring. Use Lemon Myrtle essential oil for food or drink flavouring by adding 2 to 4 drops per 1000ml of liquid. Also mix Lemon Myrtle essential oil in cooking oils e.g. Olive or Macadamia oil, at a rate of 4-6 drops per 1000ml of cooking oil. Add 2 to 4 drops in an oil burner or vaporiser, 1 drop into a bath. Add to your own skin care products for an uplifting lemon aroma, add at no more than 1%. Use 5 drops per 100ml of carrier oil. Lemon Myrtle essential oil is simply excellent on its own or blend with woody, spicy, floral oils but not citrus. Use Lemon Myrtle sparingly in blends to avoid overpowering. Lemon Myrtle is a sleeping giant in our back yards. It is anti-fungal, anti-oxidant, non-acidic, has high levels of vitamin C, relieves cramps, spasms, rheumatism, headaches, fevers and have an anti-cancer effect. Studies have shown that the citral can inhibit the growth of Helicobacter pylori, the pathogen that has been found to be a cause of ulcers and other gastroduodenal diseases. 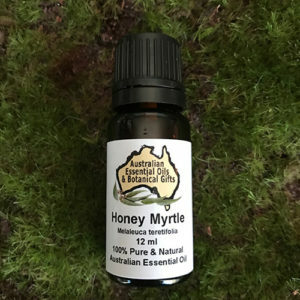 Lemon myrtle also has been found to be beneficial to muscles and connective tissue, for reducing cellulite, and to strengthen the immune system. Wow all that in one tree that grows wild in our back yard. Muscular: Aches, pains, pulled muscles. Skin: Acne, athlete’s foot (and other fungal infections), bacterial infections, bad breath, burns, insect repellent, oily skin, lice. In the Home: Cleaning spray, insect repellent, potpourri. Analgesic, anti-bacterial, anti-catarrhal, anti-fungal, anti-infectious, anti-inflammatory, anti-migraine, anti-septic, anti-spasmodic, anti-viral, cicatrisant, decongestant, deodorant, depurative, diuretic, expectorant, febrifuge, hypoglycemiant, insectifuge, mycolytic, rubefacient, vermifuge, vulnerary. Precautions: Dilute to a maximum of 20% when using topically. Using more is not often the best, more than the recommended dose can cause adverse reactions. Do not use with children under age 10, as it can cause slowed respiration due to high 1,8-cineole content. Avoid using if pregnant or breastfeeding.